Susan Ferriss is a reporter specializing in children's issues at the nonprofit investigative news group the Center for Public Integrity in Washington, D.C. Among other stories, she's investigated policies that force farmworker kids out of school and excessive police ticketing of middle-school students in Los Angeles. 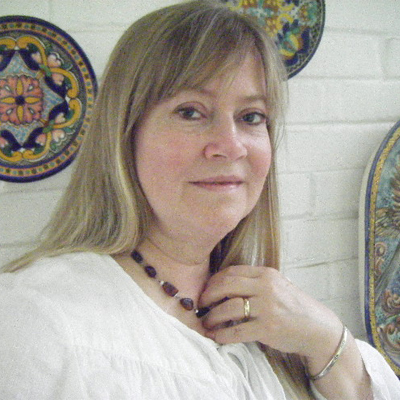 As a Latin America correspondent for Cox Newspapers for nine years, Susan also reported on migration and transnational crime in Central America. Migrants have long assumed costs, risks of border crossing — but Trump’s finger pointing now adds to the burden. In the shadow of Cesar Chavez, a turnout drive seeks to engage Latinos upset over Trump’s policies. Refugee screeners criticize bill to narrow eligibility for refugee status and worry that "skills" tests will be instituted for applicants. Soul-searching in San Bernardino County over school cops’ tactics and attitudes. Tens of thousands of young Central Americans crossed the US-Mexico border this year, many fleeing violence. Now they must navigate the US asylum system to try and stay here legally, but the system is being overwhelmed by the huge numbers of children.